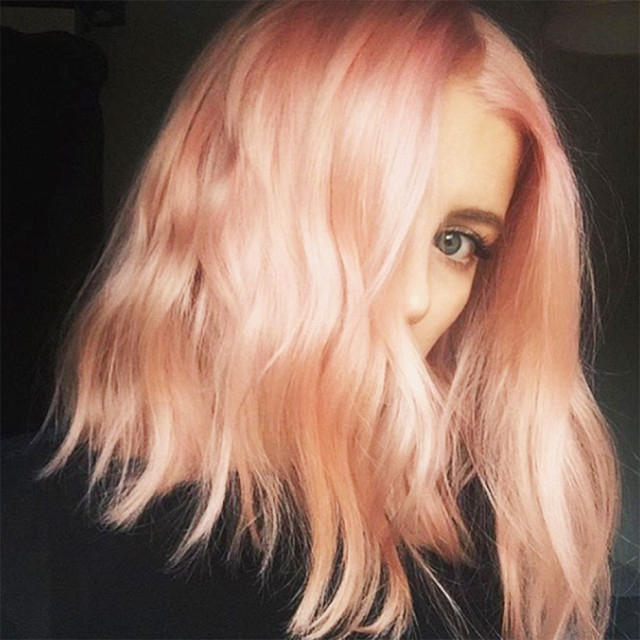 It could be said that 2016 will go down as the year of rose pink, beginning with Pantone naming Rose Quartz the color of the year, followed by (among many things) the popularity of rose-gold hair. Now, less than one month into 2017, we are already see a new trend emerging, according to Byrdie. What is it? Say hello to Sunset Blond. This new shade, also known as "blorange" (blood orange), gives a nod to rose gold, but is distinctly more peach in color. Said to be similar to the light of the early evening sky, the new hue was developed by celebrity hairstylist Alex Brownsell, a co-founder of Bleach London, for Georgia May Jagger. The color works on all shades of blonde and compliments any skin tone. Blondes, are you in? For more information, check out Byrdie.